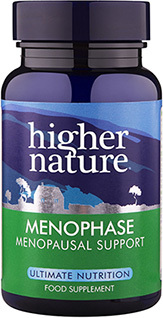 Manage symptoms of the menopause with our powerful supplement, Menophase. 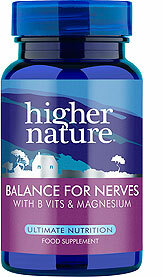 This well-rounded formula helps relieve menopause symptoms, such as fatigue, mood swings and hormonal activity with a thoughtfully balanced mix of potent ingredients. 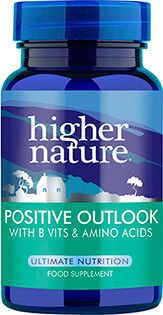 Formulated with vitamin B6, magnesium and vitamins C and E, it helps reduce feelings of tiredness and contributes to the normal function of hormones, bringing a greater sense of wellbeing and comfort to your day. 120mg Vitamin E (200iu), 100mg Hesperidin complex, 50mg Vitamin C, 50mg Schizandra berry extract 5:1, 50mg Siberian Ginseng, Sage leaf 5:1 extract 105mg, 44mg Magnesium, 20mg Niacin, 10mg Vitamin B6, 10mg Hops, 10mg Angelica Archangelica, 10mg Kelp, 10mg Dandelion, 5mg Zinc. Not advisable if pregnant, breastfeeding or taking blood thinning medication. May not be suitable for people with a fish or crustacean allergy. 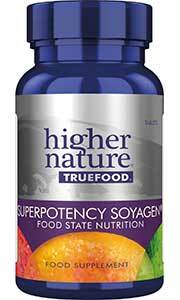 Ive been taking these alongside High Potency Soyagen, and in all honesty I would be lost without them now. They have stopped my hot flushes, my daily migraines have reduced considerably, I`m finding my mood swings have balanced out and are more manageable.. so all in all really helping me through a difficult initial phase of Peri-Menopause.. would highly recommend. 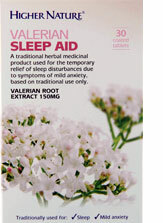 I've been taking this for a couple of years now, and think it does help with hot flushes. Have run out and they're back!